Hopefully what the Trump/Evangelical movement will show to all Americans and the whole world is that the real American enemy comes not from someone outside of our country but it comes from within. Selfishness, scapegoating, and laziness are all byproducts of fear based religion and these are the things that could take this country down. I hope what we are witnessing is the death rattle of that system. As we become a more pluralistic nation it is only a matter of time before the white Evangelicals will become the minority in the country add it is scaring the crap out of them. It is my hope that the darkness we are presently in is not of the tomb but of the womb. We are a country that is waiting to be born. All we have to do is grow up and realize that the only thing preventing us from becoming great, an example to the rest of the world, is to overcome our laziness and vote the deplorables out of office. We need to send a message that the fear and cold that comes from within the hearts of some Americans is no longer acceptable. Well said, David! Thanks for taking the time to read and comment! YES!!! Thank you, Chris, for having the willingness and the courage to hold up the light of hard won faith so that it shines like a beacon and cuts through the darkness that surrounds us today. If the everyday evangelical scares you, do a little reading on Christian Reconstructionism. This group believes in Theonomy which is when the church and state are the same. If that’s not bad enough, they hold to Old Tetament morality laws. I have actually seen a discussion where the question was posed “if your son comes to you and says he’s gay would you stone him yourself or turn him over to the magistrate and let them stone him?” They were dead serious. 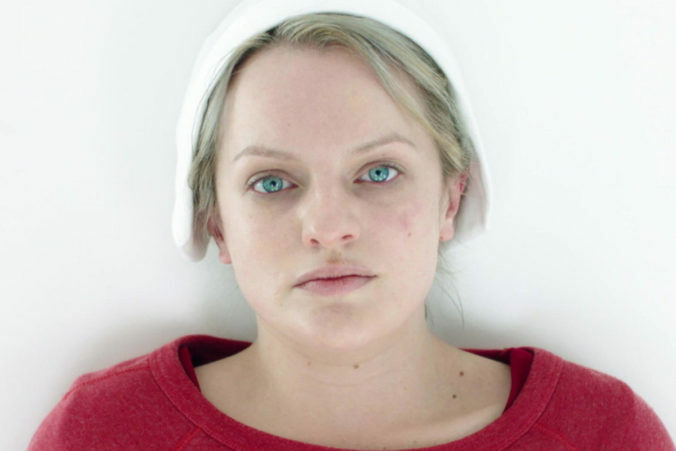 Take the handmaids out of the Hulu show and the group that runs Gilead is already here in America, and growing. I’ve been watching Handmaid’s Tale. It is scarily prophetic. And you, my friend, are a voice crying in the wilderness of evangelical Christianity! Brave on, Bro! Thanks Paul, love to you and your family! It’s probably already too late to prevent Gilead from coming to be. I sent you an email on how it will probably happen, how likely it is, and how there’s so little we can do to stop it. Thanks Bryan, I’ll be on the lookout for that email! Bryan any way I could get a look at that email? Could you post it here? The above captioned commentary is exactly why I eschewed the tenets of conservative Evangelicalism in the mid 1980s. I was myself a right wing Republican until I did, indeed, look down that hallway of where my faith was leading me. Then I saw the world of the Handmaid’s Tale. And that caused me to build empathy for others (something I lacked as a conservative but which was the root of Jesus’ teaching). Today, I consider myself a progressive Christian in the mold of Sojourners’ founder Jim Wallis. Glad to be hear of the positive outcome of your journey, Russ! Well stated! I deconverted from fundagelicalism over the past few years. While scary, this piece could certainly describe our future. Thank you! Bill, glad to hear about your transition! Thanks for reading and commenting. As I consider myself to be both conservative and a Christian, I am astounded at your description of me. Maybe spend your time explaining your attributes and less trying to explain mine. Honestly, I don’t know where you came up with your descriptions—maybe you spend way too much time with the wrong folks. Maybe I was a conservative Evangelical pastor for 20 years. This article is not a guess. Wow. Thank you for this. I am not a Christian or anything else, but I believe people should be able to believe what they want, as long as it doesn’t lead to harm or repression of others. I am well familiar with the Bible, New and Old and religious practice and I agree with you that we are moving to a dangerous place, especially with the conflation of church and state that seems to be happening more now. We have to keep believing in whatever our positive beliefs are (personally, I believe in the Force) and keep this scourge from taking over. Thanks Babs for reading and commenting! The end result is that in a booming economy with record corporate profits, we are taking care of the rich and white, while ignoring everyone else as much as possible. Well said, and very insightful Mark! Their end will come through demographic changes as we simply just need to hang in there and talk sense to those that can hear! Excellent article which is well articulated and written as only an opinion here as America needs foreign missionaries to tell us about the Jesus we missed, you know, that peace maker or that man who as he left this earth and promised “I shall send my spirit “! The good news in all of this? He did send that spirit and its power will see us through this period of history! You see my friend you got angry at injustice just like he did when he whipped the money changers and drove them from that temple! As if you are a follower of him you have his spirit and what you have said needs to be said for true followers of him to hear!